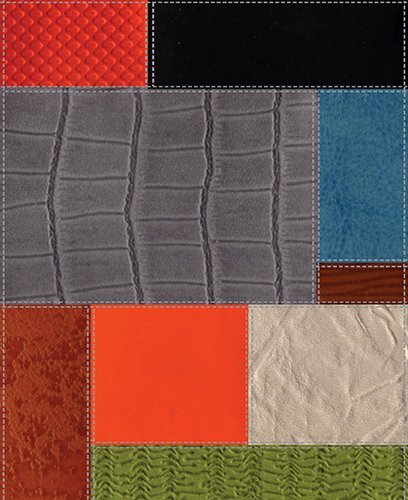 Aha moments await you. 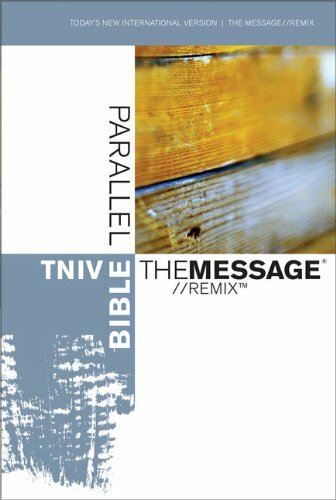 Open up the REMIX and find them for yourself.The Message//REMIX presents the Bible in stirring clarity, bringing its deep truths into focus for first-time and long-time readers alike. 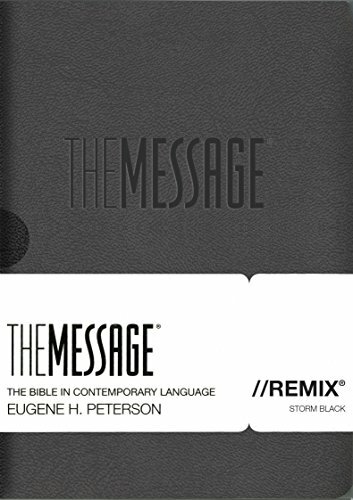 Unlike any other Bible, the //REMIX’s unique design reveals that what’s inside is something special. Surprising readers with its vivid language, The Message compels readers to pause, reflect, and recognize their own lives from a new perspective―God’s perspective.Don’t let your Scripture reading settle into a sleepy routine. 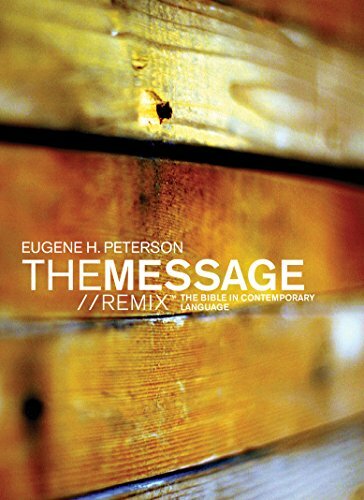 Experience the power of God’s voice in the language of today. Come and delight in the passion and personality that fill God’s Word. 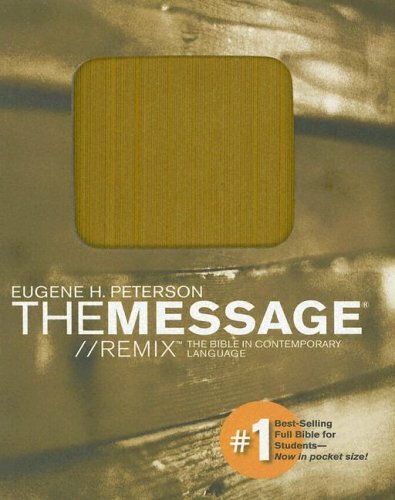 This Book is God's Word. 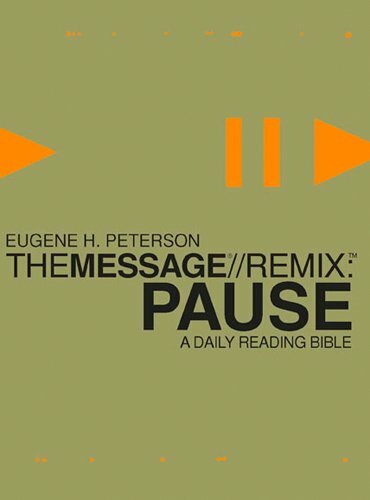 Experience Him more deeply through daily readings that will take you through the Bible in one year, two years, or four years.With a book-at-a-time reading plan that immerses you in an Old Testament and a New Testament passage daily, this daily reading Bible also gives you time to pause with a time of reflection on the seventh day.Includes reflection questions as well as Eugene H. Peterson's introduction to the Bible and to each individual book. 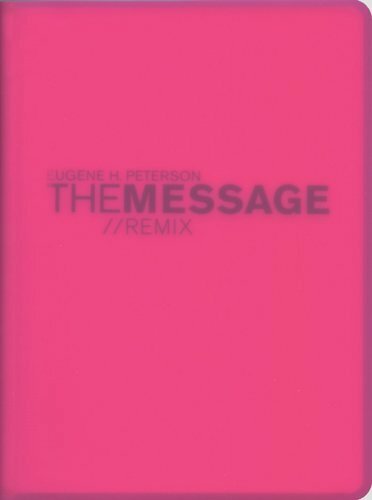 These introductions set the stage for the book and help you understand that book's unique message.Text taken from the best-selling The Message//REMIX. 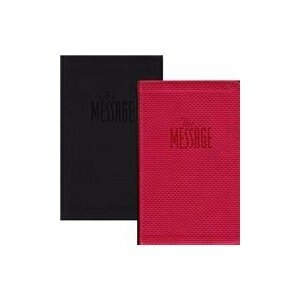 The Message Remix is now avilable in a pocket-sized edition to take with you on-the-go. 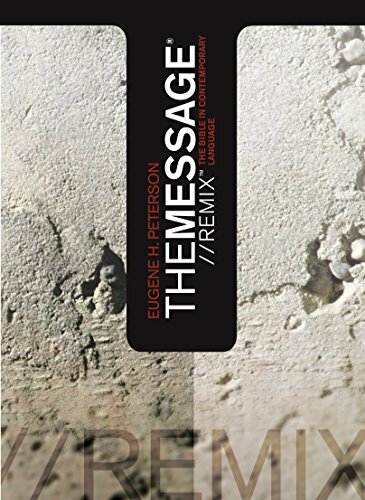 Compare prices on Message Remix at ShoppinGent.com – use promo codes and coupons for best offers and deals. Start smart buying with ShoppinGent.com right now and choose your golden price on every purchase.